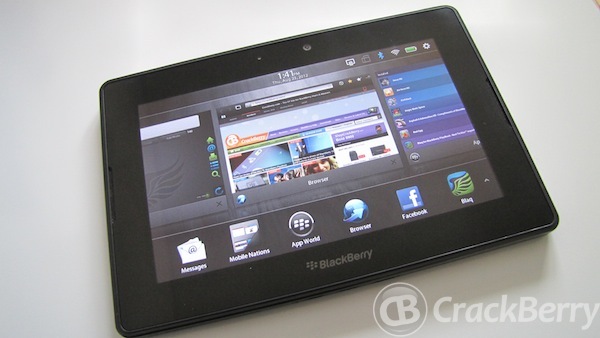 The 64GB BlackBerry PlayBook gets an online price cut in the UK. Bargain of the year? The Dixons group seem to have an online special offer on at the moment on the 64GB BlackBerry PlayBook. If you head on over to Dixons or PC World you will find the 64GB PlayBook for only £129. Yes, you did read that right! Why this version of the tablet is cheaper than the 32GB I have no idea but this may well be bargain of the year. Even if you don't use a BlackBerry smartphone there are still many good reasons to use the PlayBook. It is portable at only 7 inches, shoots video in full 1080P HD (with front and rear cameras), great web browser, native email application, all office tools pre-loaded and that's just a few of its features. Don'f forget that the BlackBerry PlayBook will get the OS upgrade to BlackBerry 10. This offer will be the most cost effective way of picking up a BB10 device and with 64GB of onboard storage you will have yourself plenty of room for movies, music and pictures. I'm not sure how long they can hold this price so you may want to get in quick. Thanks for the tip Dave.